The vision of Claremont Lincoln University is a world that lives by the Golden Rule; a world in which disputes between those that have conflicting views are addressed peacefully without violence. The mission of Claremont Lincoln University is to be a place where students learn how to treat others as they would like to be treated. Students learn the skills necessary to understand differences among religions, governments, other organizations, and individuals; how to respect those differences; and how to cooperate and collaborate with those of different viewpoints to resolve problems between them peacefully without violence. Our students will integrate self-knowledge with critical perspectives and contemporary skills to create sustainable social change – how to implement the Golden Rule. Claremont Lincoln University embeds the Golden Rule in the Claremont Core® which teaches the skills of mindfulness, dialogue, collaboration, and change. Compassion – Follow the Golden Rule: Do unto others as you would have them do unto you. Integrity – Be consistent and transparent in our values, actions, and outcomes. Respect – Value and be mindful of other’s views and traditions. Diligence – Have a commitment to continually improve and the strength to make a difference. Individual Responsibility – Hold ourselves accountable; deliver on our promises. Innovation – Strive to define new ways to make education better. Loyalty – Support and allegiance to CLU. Social Impact – Make the world a better place. Service – Provide a quality educational experience to all who encounter CLU. Like you, Claremont Lincoln is working to change the world, and our innovative academic offerings reflect that commitment. With forward-thinking faculty as mentors, you will be challenged to engage in Newrigorous academic inquiry where it meets the practical needs of the world. We believe the goals of education is to reach beyond our own interests. Education should, in the end, help transform the world around us. Claremont Lincoln is at the vanguard of a new approach to graduate education in an era characterized by cultural, religious, and economic diversity. We work with global thought-leaders and change-agents to develop our innovative master’s degree programs in Ethical Leadership, Peace and Social Justice, and Social Impact. Our faculty and students are cut from a different cloth. We are a non-profit graduate school founded on the conviction that the world’s great philosophical, religious and ethical traditions are deep wells of wisdom for bringing people together to address perennial social problems. Our new educational approach immerses students in a dynamic learning community and encourages the exploration of diverse beliefs, values and traditions. Our proprietary Claremont Core® methodology enriches the learning experience with the critical skills of mindfulness, dialogue, collaboration and change needed to bring about change for good. Our online teaching models are convenient and affordable to students throughout the U.S. and abroad. A diverse, international cohort enriches the educational experience, and twice a year in-person gatherings offer optional opportunities for further engagement and collaboration. Claremont Lincoln invites leaders and learners, like you, to gain a fresh perspective and develop the new skills needed to make the world a better place. David Lincoln was a founding member of Claremont Lincoln University, who enjoyed a diverse career as an aerospace engineer, businessman, philanthropist, and non-profit leader. His interests were tremendously successful, not only due to his entrepreneurship, business acumen and management practices, but also his ethical commitment to advancing the common good. 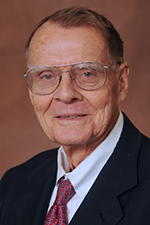 He served on numerous non-profit and educational boards, and was philanthropically involved with many educational and ethical endeavors, including Claremont Lincoln University until he passed in March 2018. Eileen Aranda is President of Claremont Lincoln University. Dr. Aranda spent many years as a management consultant focused on facilitation of the strategic management process, development and implementation of organization change efforts, assessment and mediation of internal organization problems and management team development. She holds an MBA and Ph.D. with an emphasis in strategic management and organizational development from University of Washington and is co-author of Teams: Structure, Process, Culture, and Politics (Prentice Hall, 1998). 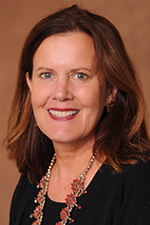 Kathryn J. Lincoln is Chair and Chief Investment Officer of the Lincoln Institute of Land Policy, a non-profit educational institution teaching land economics and taxation, and has held this position since 1996. She also served as President of the Lincoln Foundation, Inc., a non-profit foundation that supported the Lincoln Institute of Land Policy, from 1999 to October 2006. Her grandfather, John C. Lincoln, founded the Lincoln Electric Company headquartered there and established the Lincoln Foundation in 1946. Her father, David Lincoln, established the Lincoln Institute in 1974. Tom Becker is the retired President of the Chautauqua Institution, a non-profit education center located in Chautauqua, New York. Mr. Becker joined Chautauqua Institution in 1985 as Vice President of Development, and Vice President of the Chautauqua Foundation. He later served as Executive Vice President for Development of Chautauqua Institution and as Chief Executive Officer of the Foundation. As CEO, Mr. Becker oversaw the growth of the Foundation into a professional fund-raising organization achieving over $100 million in support of the Institution and successfully guided campaigns to build and endow Elizabeth S. Lenna Hall and Bratton Theater. Most recently, he successfully led the effort to raise $41.5 million in philanthropy for the renewal of the Chautauqua Amphitheater. Dr. Jerry Campbell is a founding member and former President of Claremont Lincoln University as well as a former President of Claremont School of Theology. 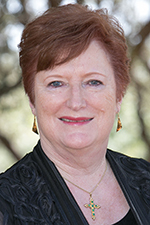 An ordained elder in The United Methodist Church, Dr. Campbell previously served as Chief Information Officer and Dean of Libraries at University of Southern California, and as chief librarian and faculty member at the Iliff School of Theology, Perkins School of Theology, and Duke University. Dr. Campbell holds a B.A. from McMurry University, an M.Div. from Duke University, an M.S. in Library Science from the University of North Carolina at Chapel Hill, and a Ph.D. in American History from the University of Denver. 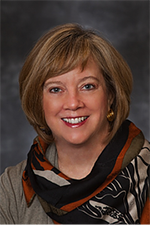 The Reverend Dr. Joan Brown Campbell is Director of Religion at the Chautauqua Institution and a devoted activist for peace and social justice. Archbishop Desmond Tutu called her “a woman of courage and compassion.” She has worked with the likes of Dr. Martin Luther King Jr., and collaborated with Paul Gorman, Carl Sagan, Dean James Morton, and Albert Gore to establish the National Religious Partnership on the Environment. 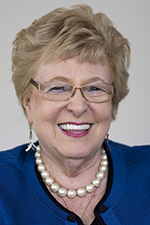 She is the recipient of 12 honorary degrees and the Walter Cronkite Faith and Freedom Award. She is author of Living Into Hope: A Call to Spiritual Action for Such a Time as This, and Prayers from Chautauqua, a recently published collection. Steven Chanen is Chief Executive Officer of Chanen Construction Company, ranked as one of the largest five builders in the Southwestern United States, and one of the 400 largest builders in the nation, according to Engineering News Record. The company this year is celebrating its 60th year in business and the completion of $14 billion of work throughout the U.S. He earned a Juris Doctorate from Arizona State University and is part of an executive education program at Harvard Business School and its MBA program. Throughout his career, he has demonstrated broad support of business organizations and local and national nonprofits through his involvement as board member, award recipient and philanthropist. Tony Digiovanni is a recognized senior executive in the “for profit” higher education sector, with over 25 years’experience. For the last 3 years, Digiovanni served as CEO of a venture-backed startup organization in higher education, Ameritas Educational Services. Digiovanni was the Senior Vice President of Marketing and Enrollment for Education Management Corporation, including marketing oversight for Art Institute, Argosy University, South University and Brown Mackie College. Prior to that, Digiovanni served with Corinthian Colleges, as President and COO, and also with the Apollo Group in various executive positions. 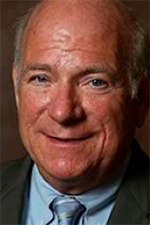 Digiovanni was the first President of University of Phoenix Online and helped take the organization public in September 2000. Keith Drake is Senior Vice President and Regional Manager at Torrey Pines Bank, Los Angeles. 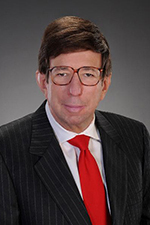 He is an accomplished banker with an impressive track record of success spanning over 30 years in consumer and business banking as well as commercial lending. 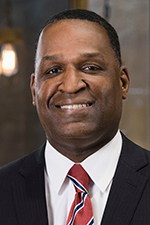 Mr. Drake was most recently the Community Development Manager at City National Bank and has also worked for Wells Fargo Bank and Bank of America Merrill Lynch in Los Angeles. He is currently a board member of the Los Angeles Urban League and the California African American Museum, as well as national board member of the Boys and Girls Club of America. Mr. Drake is also past chairman of the Los Angeles Greater African American Chamber of Commerce Foundation, past board member for Challenger Boys and Girls Club, and past Advisor to Vermont Village Community Development Corporation. 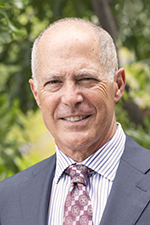 Rabbi Mel Gottlieb is the founding Vice President of Claremont Lincoln University and President Emeritus of the Academy for Jewish Religion, California. He holds a doctorate in Mythology/Depth Psychology from Pacifica Graduate Institute where he was an adjunct faculty member. 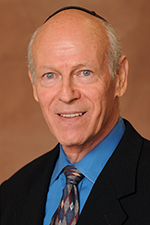 He has also taught at Columbia, Yeshiva University and the University of Southern California. He is a widely published author, and is former Director of Hillel at MIT and Princeton. He has served as Rabbi at Kehillat Ma’arav in Santa Monica as well as Westwood Village Synagogue. Dr. Griego is currently principle of the higher education consulting firm Elizabeth Griego & Associates. She has served in multiple executive positions in a range of universities, including 18 years as vice president of student affairs, most recently at the University of the Pacific. As a committed educator and invested mentor, she has also taught undergraduate and graduate courses, serving as professor of education at Pacific. Dr. Griego also served regional accreditation as vice president at the Western Association of Schools and Colleges (WASC) which enabled diverse perspectives in working with institutions. 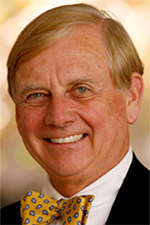 James Manifold, retired, was the Vice President of Business Affairs and Treasurer of Scripps College in Claremont, California. During his tenure, the Scripps College endowment grew from $20 million in 1982 to more than $220 million in 2011. Manifold has also been a pioneer in college financial reporting, increasing fiscal transparency, and leading several accounting trends in higher education. Mr. Manifold has been a leader in supporting the Claremont Consortium in the areas of physical plant infrastructure, employee benefits, risk management, and campus dining service. He has also been active in the Claremont community by serving on the City’s General Plan Advisory Committee and is currently on the Architectural Commission. 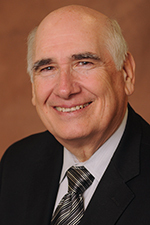 He has served on accreditation teams for the Western Association of Schools and Colleges (WASC), and has published several articles on endowment investing, deferred maintenance, and strategic planning. *Full-time status (2 courses per term) must be maintained to complete the master's degree in 15 months. © 2019 Claremont Lincoln University. All Rights Reserved.